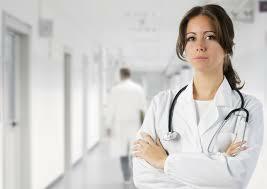 The medical field is full of highly-skilled and demanding occupations that require strong mental health and acuity. Using social psychological concepts we can understand that this requirement for women, in a profession that’s predominantly made up of and tailored for men, needs extra strength and resilience. All newly-minted doctors have a significant amount of depression and anxiety due to the demanding and exhaustive work they do, but according to JAMA Internal Medicine it is far more difficult and present in women (Khullar). One of the reasons behind this is that a woman, even though a medical professional, still shoulders the majority of household duties. Still fulfilling gender and societal norms women endure a work-home conflict that their male colleagues don’t experience. The medical field today promotes equal opportunity by law, but the institution, even though not driven by prejudices, exhibits sexism within the institutionalized practices that subordinate women (Myers, 254). Arguments for this is in the article by Dhruv Khullar. 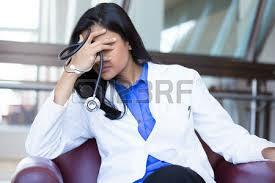 She states that little has changed in medical training procedures. Its reminiscent of days passed when almost all residents were men with few household duties. “Support for those trying to balance home and work life hasn’t kept pace with changing demographics, nor has the division of domestic labor shifted to reflect the rise of women in the medical work force. “(Khullar). The trend of accepting of women in the medical field has drastically changed, but unfortunately gender attitudes towards women have done little to support their personal lives which in turn affect their professional lives. Not only does this show a prime example of implicit prejudices towards women but gives light to the fact that prejudices tend to over-generalize groups of people with stereotypes. Myers, D. G. (2012). Exploring Social Psychology (Seventh Ed.). New York: McGraw-Hill.